The headlines read something like “She Made $30,000 Per Month on Amazon at 24 Years Old.” They’re popular YouTube advertisements, where a beautiful person is self-filming a video in front of some expensive cars explaining how they got rich, and of course, how you can too. It’s called affiliate marketing. Affiliate marketing is a burgeoning industry that is expected to hit $6.8 billion by 2020. The premise is simple. A publisher promotes a product to their followers through a special link. That link can track if anyone made a purchase at the recommendation of the publisher. If so, the publisher gets a cut of the sale. It sounds great, but it has some problems. A link can’t perfectly track if a consumer purchased a product based on the recommendation of a publisher. The publisher’s cut of the product is quite small. And data can be hacked, manipulated, or abused. Ultimately the problems are based on the third parties that connect publishers with merchants. One group is trying to fix these issues with blockchain technology. The revolutionary technology that has been capturing headlines and infiltrating industries is also emerging in the affiliate marketing sphere, with Attrace. But can this new blockchain solution for affiliate marketing really do what it claims? 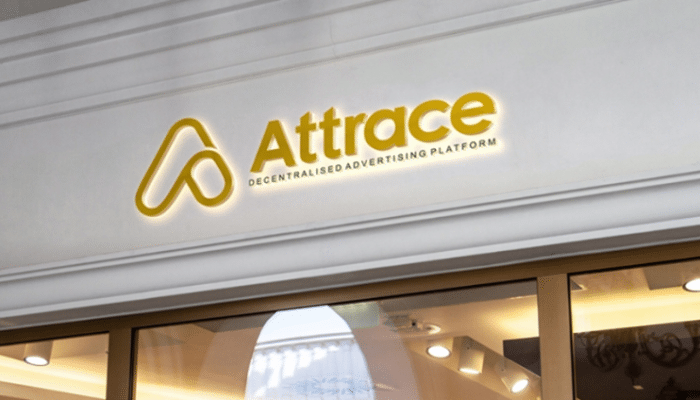 Attrace (ATTR) is a new blockchain that is trying to combine affiliate marketing with blockchain. It is an entirely decentralized affiliate marketing platform, removing the corporate hub system that has kept the industry hamstrung. Unique from other affiliate marketing blockchains, Attrace was built from scratch, purposely designed to register and audit any advertisement clicks in affiliate marketing. The main idea behind using blockchain for affiliate marketing is in removing third parties from the equation. Affiliate marketing does have some problems, many of which can be traced to the third party affiliate network. Important data features like the total number of clicks or sales often remain unknown. Plus there can be a general mystery regarding how much money is exchanging hands between the merchant and third party. With Attrace, there is no third party. Publishers are connected directly with merchants on the blockchain. You can see what is happening with your marketing efforts as they happen and the mystery is taken away. It does this by linking a smart contract to each click or referral, not just if a sale is made, making a third party affiliate network obsolete. This provides more accurate link tracking, as each click/referral has its own unique ID. No third parties also mean low fees, bringing more money to publishers bottom line. With traditional third party affiliate networks, they charge 10-25% in commission. With Attrace the commission cut down to .5%. Payments are made to the publisher as soon as the consumer purchase is made, instead of weeks or months later as can be the case. Also, the payments are already converted to fiat currency, unless ATTR, the Attrace token, is preferred. The affiliate marketing industry is massive. It works well, but it could also be done better. Blockchain provides a great solution to many of the issues that face affiliate marketing, namely in removing third parties. By building their own blockchain from scratch, Attrace has assured users that this platform is built with a purpose and it truly benefits all parties involved. Affiliate marketers should note that it doesn’t solve every problem. There is still the issue of a consumer switching browsers or devices when they go to make the purchase. Some of those issues might never be solved. But this shouldn’t scare people away from using it. There are enough pros to make Attrace worth a try. Attrace should also attract affiliate marketers who are into cryptocurrency. These marketers will have an easy time adapting as they are already familiar with blockchain. They might even see the advantage of getting paid in ATTR. For those who aren’t familiar with blockchain, they shouldn’t be intimidated. Publishers aren’t paid in ATTR unless they want to be, eliminating the hassle of cryptocurrency trading. Those headlines with the success stories? They really are true. But with blockchains like Attrace, those stories might be bigger, grander and more luxurious.